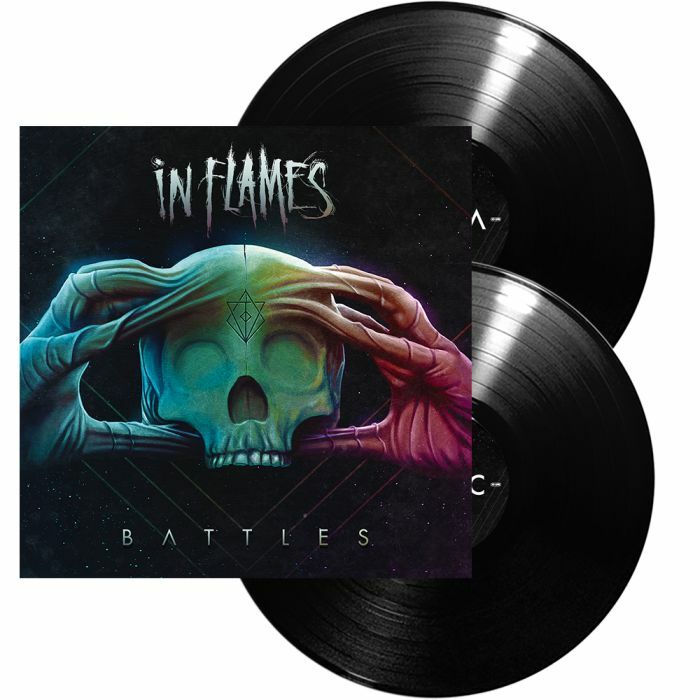 IN FLAMES - BATTLES VINYL (2LP BLACK) | Online Shop | Wizard LTD. Album: "BATTLES VINYL (2LP BLACK)"
In a music scene full of seemingly endless subgenres and transient trends, IN FLAMES are an example of what it means to steadfastly stay true to your vision. Since forming in Gothenburg, Sweden in 1990, the legendary melodic metal act has had six albums debut in the top ten in Sweden (including two #1 debuts), toured alongside everyone from METALLICA to JUDAS PRIEST and influenced many of today&apos;s biggest metal acts without ever ceasing to push their own signature sound forward. In that spirit, the band&apos;s twelfth full-length »Battles« sees IN FLAMES eschewing proven formulas in favor of trying new things, most notably finding a new collaborator in Grammy-nominated producer Howard Benson (MY CHEMICAL ROMANCE, THE USED), who was brought into the band&apos;s coveted inner circle in order make »Battles« an album that will appeal to every type of IN FLAMES fan. Before bringing things to bassist Peter Iwers and guitarist Niclas Engelin, the duo decided to leave the comforts of Sweden for Los Angeles where they would write all day and then BBQ and drink beer until the early hours of the morning. “I think being in California really affected this album in the sense that we had a studio in the house that we were staying at and the vibe was really relaxed which lent itself to productivity,” Fridén adds. In fact, although the band were only planning on recording 11 songs, they actually came away with 15 of them and this inspiration was partially due to Benson&apos;s influence on the overall process.